Okay, let’s play producer. 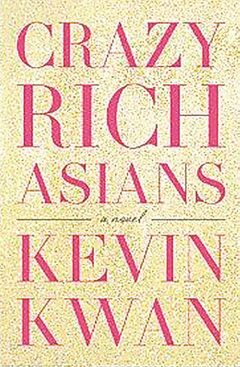 I have just finished reading CRAZY RICH ASIANS. It was for the most part a fun read with its tongue-in-cheek commentary on the lifestyles of the rich and richer in this side of the world, though I have beef on the ending. It gives the impression that Kevin Kwan is going to write a sequel, not that I mind, because I would truly love to see a definitive conclusion to the main characters. In the meantime, Hollywood has bought the rights to make a movie adaptation and here’s hoping that they will tap homegrown talents of the Chinese film industry for this (though I doubt). In the meantime, let’s cast our own. First things first, though. Since the main characters have been mostly schooled overseas and moves around the world as much as their wealthy lifestyles allow, it’s also a requirement that the actors should be able to speak the Queen’s language, with the proper accent too. And that somehow limits the choices but well, let’s give it a try anyway. Nicky is described as tall, with “perfectly tousled black hair, chiseled Cantonese pop-idol features and impossibly thick eyelashes”. He’s 32, the Oxford-educated scion of a low-key but filthy rich old-fashioned family and is a professor at NYU. 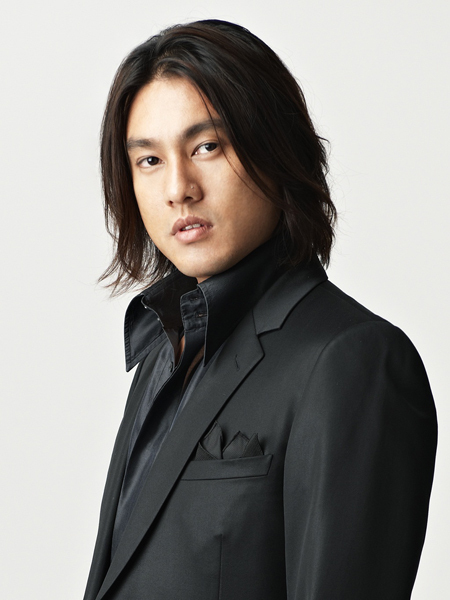 Perhaps it’s the name that has easily led me to visualize Nicholas Tse as Nicky. He’s also the same age as the character so I wonder if Kwan used Nic as the inspiration for the book. I mean, chiseled Cantonese pop-idol features? I’m not so sure though of the thick eyelashes, because that would bring to mind Aarif Rahman, who went to study in London so he would have the posh accent. Aarif also looks like Wang Lee-hom, who is another perfect candidate for the role especially now that he’s trying Hollywood and has even signed with an agency there. Who knows? Rachel is not quite the ABC, she was born in the mainland and has quite a dramatic back story. She’s 29 and as seen through Nicky’s eyes, the most beautiful girl with the “dewy just-back-from-a-morning-run-on-the-beach complexion to the obsidian black hair”. This role is even more major than Nicky’s because Rachel is caught in the center of all the craziness around her. Rachel is not a damsel in distress who needs saving, she’s strong and can stand against the snobs around her. Two actresses come to mind for this role: Liu Yi Fei (better known as Crystal Liu) and Liu Shi Shi; both are 26. Crystal can speak English (she holds an American passport) but I’m not sure about LSS. At their young age though, they have very impressive acting credentials. “Astrid wasn’t attractive in the typical almond-eyed Hong Kong starlet sort of way, nor was she the flawless celestial-maiden type.” The author describes her eyes as set too far apart and her jawline too prominent for a girl. She has a delicate nose, bee-stung lips and long, naturally wavy hair giving an allure. The description of the character, especially when it comes to the eyes only brings to mind one actress: Shu Qi. The only downside when casting her is because she’s more of a vamp than an elegant fairy, which I imagine Astrid to be. She’s the dream girl of every boy in town and is the envy and standard among girls. I’d say perhaps Zhang Ziyi will be better fit for the role though the physical attributes don’t match that much and she’s too big a star to be cast in a secondary–yet pivotal–role. Karen Mok maybe? The handsome husband of Astrid–together they are referred to as the “golden couple”–who unfortunately does not have the proper lineage. He tries to go past his insecurities and the constant judgment of his wife’s family. Daniel Wu would be perfect for this role, imo. Described in his family as “perfect one” who’s kind of eccentric and has a temper. He’s also very fashion conscious, decking his family in matching designer wear. It’s easy to associate the character with another Eddie, Edison Chen. Who knows, he was also the inspiration of Kwan for the character because this Eddie is as wild as the real one. But there is one scene in the book that brought to mind Ken Zhu (who has a temper as we all know): it’s that scene when Eddie is being fitted for the wedding and he discovers, to his horror, that his tux does not fit. And his pants also tore. Since reading that part, I can’t envision anyone in this role but Zhu Xiao Tian. The groom and Nicky’s best friend, he’s supposed to be tall, “roguishly handsome with dark freckles and an unruly shock of hair that makes him look a bit like a Polynesian surfer”. Huang Xiaoming maybe? Not sure about his English skills but then they’re actors, it’s their job to get under the skin of any role. Mark Chao can also be a candidate for the role. The bride who is said to be very pretty even without a stitch of make-up on. She’s tall and a supermodel but when she makes her first appearance in the book, she’s dressed in a tank top and what looks like pajama bottoms; she later transforms into the ravishing bride straight from the pages of Vogue. Why not Angelababy? Araminta strikes me as a chameleon and while searching for photos for this post, it’s amazing how Angelababy and her boyfriend Huang Xiaoming look different in each of their photos. Chameleon talent, photoshop or surgery? You decide but she could be perfect for the role. Rahcel’s best friend who comes from new money and is described as a not so great natural beauty with a “broad nose, round face and slightly squinty eyes” and a voluptuous body who has bold fashion choices. She’s quite a funny, eccentric character alongside her family. I’m thinking Dee Hsu (Xiao S) though she may be a little old for the role. But then again, she can also get away with being in her late 20s. 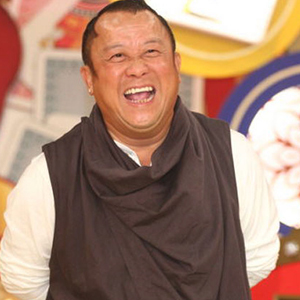 And her father, Goh Wye Mun, described as a stocky, barrel-chested man, could be played no less by Eric Tsang. This is kind of funny considering the history between Xiao S and the Tsangs (Eric’s daughter Bowie was the ex-girlfriend of Dee’s husband or something like that). Nicky’s mom who worries about lineage all the time and is naturally protective of her son. She also hates Asians with American accents. 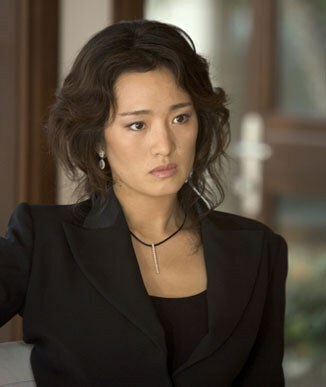 Gong Li, anyone? Though I don’t know if she would agree to play mother to a 32-year-old character when she’s only 47. Rachel’s very independent mom who embodies a Chinese woman who went against the norm and established herself and her daughter in a faraway land despite the circumstances. A fighter, in other words. There are other minor, yet very interesting roles like one of the cousins Alistair Cheng and his starlet girlfriend Kitty Pong who scandalizes the prim and proper rich (maybe Jolin Tsai can pull this one), Charlieboy, Astrid’s ex-boyfriend who becomes her knight-in-shining-armor; the grand matriarch Shang Su Yi, Nicky’s laidback dad Philip Young, the gossip girls and their older versions… this book is full of memorable and entertaining characters. The book is very hard to put down and waiting time at the airport (12 hours) passed without me noticing. I really hope there will be a sequel because there is a lot of ambiguity with how things ended. For reference’s sake, I found this other blog that posted her own choice of cast for the film version of the book. Meantime, I don’t know what rich crazy Asians drink but I’d like to have GREEN tea right now. Oh wow- Thanks for the reference! It looks like we’re all in agreement about Daniel Wu as Michael Teo 🙂 I think it’ll be interesting to see what direction they’ll be going for the cast of Crazy Rich Asians. Regardless, I know I’m excited!